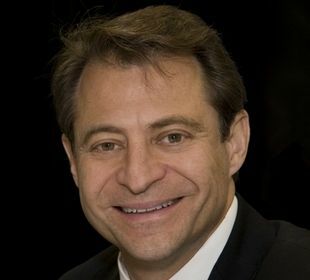 Peter Diamandis of X Prize Foundation. NEW YORK — A competition to build an underwater robot is just one of the initiatives that might be funded under a new partnership between the X Prize Foundation and the Shell Oil Co. The three-year, $9 million program, called the X Prize Exploration Prize Group, aims to spur the development of innovative technologies to explore the Earth, sea and space through competitions with significant cash payoffs. The X Prize Foundation has gained fame for similar endeavors such as the Ansari X Prize, which in 2004 awarded $10 million to the Scaled Composites company for building the first nongovernmental manned spaceship to reach space twice within two weeks. The foundation is also currently holding challenges to put a private spacecraft on the moon, to build an extremely energy-efficient car, and to better clean up oil spills, among others. For this new project, X Prize is partnering with Shell to brainstorm a series of new prizes related to exploration. Though the particular projects have yet to be chosen, possibilities include an underwater autonomous vehicle, as well as plans to clean up space junk, map the ocean floor and bioengineer life forms that could grow on Mars, Diamandis said. "Shell believes in the power of exploration," said Gerald Schotman, Shell chief technology officer. "It inspires the essence of what makes us human. Innovation also is part of Shell's DNA. We welcome, invite and seek opportunities that might help us do better what we do today. For us, human ingenuity and technology hold the key to a sustainable energy future." On hand to publicize the initiative were mountain climber Mark Synnot, ocean explorer David Gallo and space tourist Richard Garriott, who paid his way to the International Space Station aboard a Russian rocket in 2008. "This will allow the creation of a prize that is truly a game-changer," said Garriott, who is an X Prize foundation trustee. "It will bring lots of smart people from unrelated fields together to noodle on it." Even NASA astronaut Mike Fossum, who is currently living on the International Space Station, weighed in via video. "I'm an explorer and crew member on the International Space Station," Fossum said. "Exploration is an important part of who we are as a species." To help get the new project off the ground, X Prize and Shell are sponsoring a competition for young filmmakers to create a video about why they prize exploration. The contest, open until April 2012, is looking for pieces that integrate NASA and exploration footage to address the question: "Why do YOU Explore?" The winner will get to travel on the National Geographic Expedition of their choice.